This versatile holster can be worn with every outfit…even yoga pants! 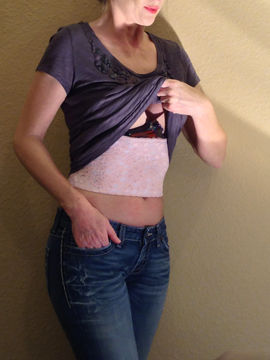 With no metal clips or bulky belts you can wear this with anything! Add the Sticky Garter Belt, Ankle Biter, or Universal Mount and you have a one-stop-shop for the most versatile holster system on the market! Check out our video review of this product! SKU: HLSTR-IWB-STKY-001. Tags: 1911 4”, Ankle Holster, Appendix Carry, Garter Holster, Holster, Kidney Carry, Small of Back Carry, Sticky Holster, Thigh Holster, Tuckable Holster. 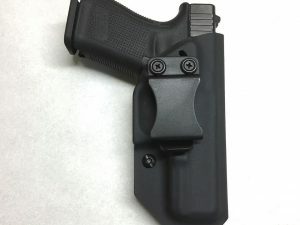 This is an extremely versatile IWB (In the waist band) holster for concealed carry. The smaller sizes also work well for in the pocket use. 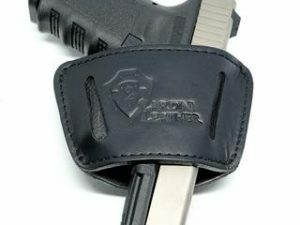 The construction of the holster uses the pressure from your clothing waistband to secure both the holster and the gun. They don’t come with clips or loops to secure it in place, as the outer “sticky” skin adheres to your waistband, undergarments and/or your skin. When you draw your firearm the sticky material on the outside of the holster holds it tightly in place! 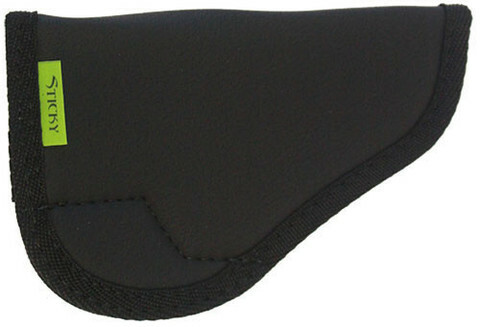 This is a classic tuckable holster that can be tucked between even your skinniest jeans and tank top! This holster can also be used in conjunction with the Sticky Garter Belt or Sticky Ankle Biter to make a fully modular system! This system can be used with EVERY SINGLE outfit in your closet!